Microsoft opened up limited pre-orders of their Windows Mixed Reality headsets to developers back in May, but the device (still geared primarily towards developers) is now available for purchase - as long as you live in the US or Canada. Currently, only HP and Acer versions of the headset are available, though Microsoft has announced plans to bring Asus, Dell and Lenovo versions of the device to market by the end of the year. HP's version will run you about $329, and Acer's model of the headset is a little bit cheaper at $299. Although the official store pages for both versions of the headset claim that sales are restricted to developers, it appears that just about anyone can pick one up if they so choose - there aren't any hard restrictions in place at the moment. However, HP's version is already sold out, so prospective buyers are limited to Acer's cheaper alternative for now. From a technical standpoint, both versions of the headset are a bit underwhelming when compared to the likes of the HTC Vive or Oculus Touch, but that's to be expected given the device's lower price point. 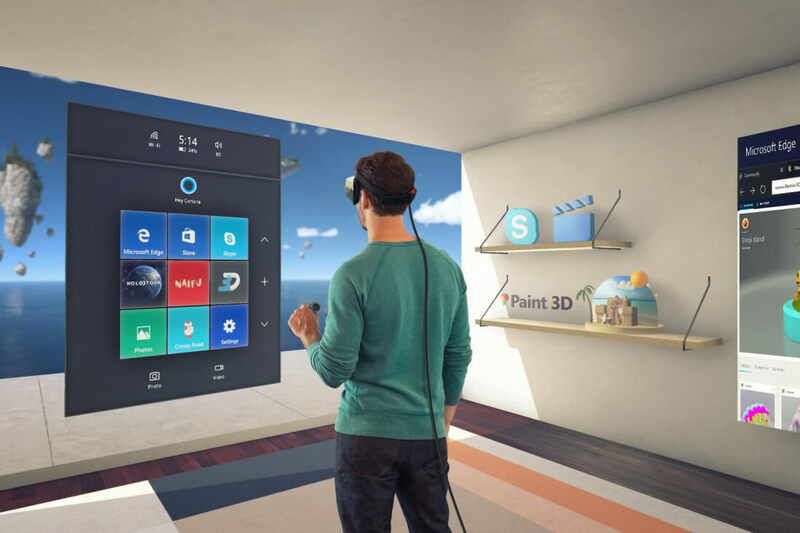 Currently, all Windows Mixed Reality headsets boast dual 1440x1440p displays, a 90Hz refresh rate, and a 95-degree FOV. If you're interested in picking up a headset for yourself, make sure your PC can handle it. System requirements are pretty beefy at the moment, for optimal performance you'll need a GTX 980 (or AMD equivalent) 16GB of RAM and a Core i7 or Ryzen 7 1700 CPU.